This Nagoya for walkie-talkie antenna with SMA Male connector allows to increase performance on the 144 and 430MHz bands with 39cm long and equipped with SMA female connector. SMA Female antenna is compatible with Walkie-Talkie Baofeng, BF888, UV-5R, or UV-82. 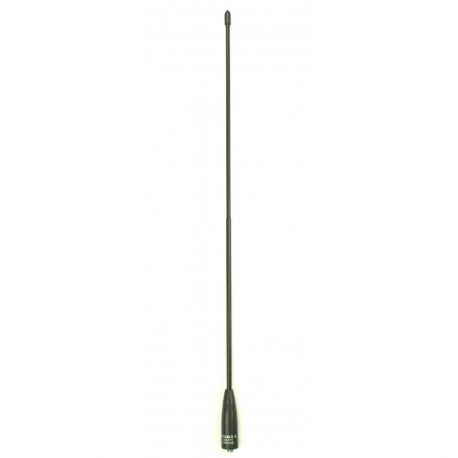 SMA Male antenna is compatible with handheld (HT) Yaesu, Icom, Wouxun. Package includes: Antenna Nagoya NA-771 genuine warranty. Also available Diamond SRJ77CA with Marine VHF RX and TX 150-162 MHz and wide band reception 120-900Mhz. Description: This Nagoya for walkie-talkie antenna with SMA Male connector allows to increase performance on the 144 and 430MHz bands with 39cm long and equipped with SMA female connector . SMA Female antenna is compatible with Walkie-Talkie Baofeng, BF888, UV-5R , or UV-82 . 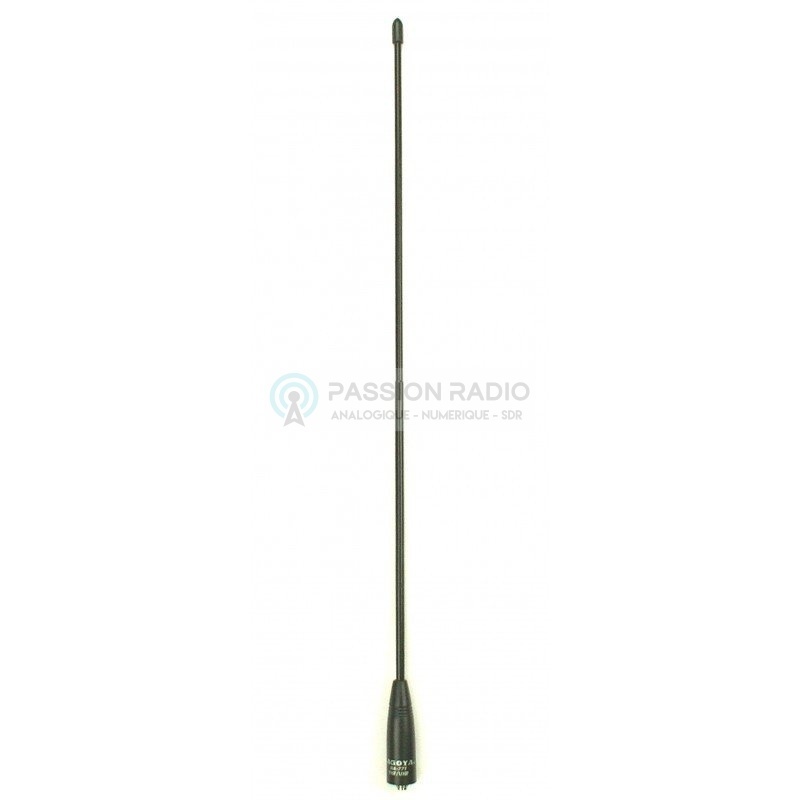 SMA Male antenna is compatible with handheld (HT) Yaesu, Icom, Wouxun. Package includes: Antenna Nagoya NA-771 genuine warranty. Also available Diamond SRJ77CA with Marine VHF RX and TX 150-162 MHz and wide band reception 120-900Mhz.